Jamaican birds are just absolutely beautiful. Avid bird watchers will definitely be intrigued by our birds. Birds are arrayed in their beauty, sing the most melodious tunes, and are simply fascinating to watch. Have you ever heard that ‘there is a time and season for everything under the sun’. Well, in Jamaica, it is best to go bird watching anytime from October to April. This is particularly because these are the cooler months and mature and attractive birds are more visible. There are several birdwatching hot spots across the island. Some areas are under deep forest cover. 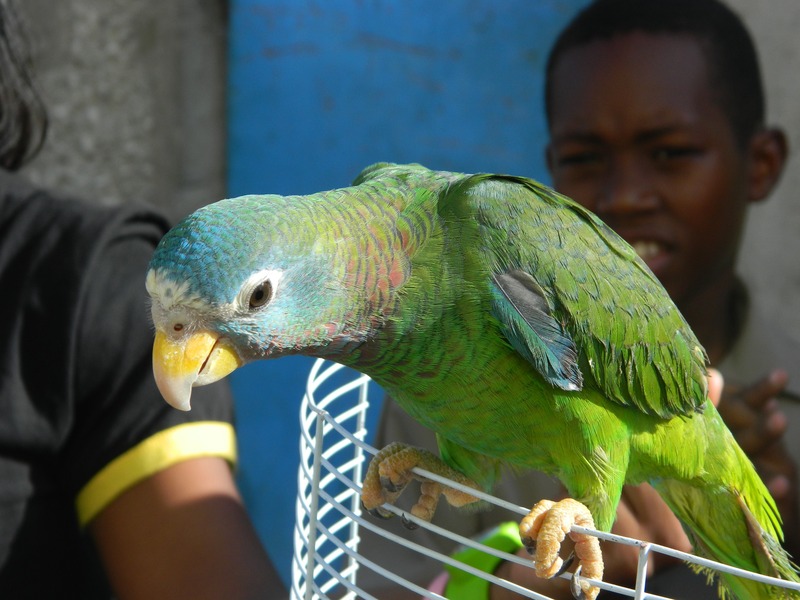 Jamaica’s birds and their eggs are protected under the Wildlife Protection Act which prohibits “hunting, harassment, capture and possession of the ‘whole or any part’ of a protected bird”. There is an established bird shooting season which runs, generally, from the third weekend in August and for six weekends thereafter. 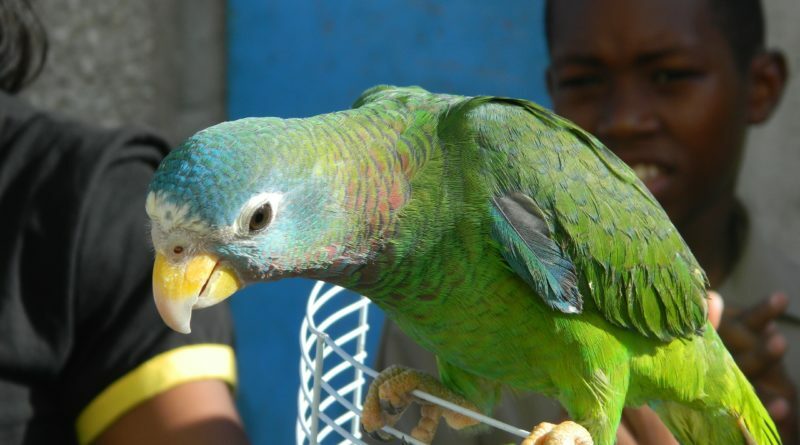 Where to Go Bird Watching in Jamaica? The Cockpit Country: This location is considered as Jamaica’s most important ecological site. The land is managed as a forest reserve by the Forestry Department. The Cockpit Country is known to have more than 100 species of unique plants. 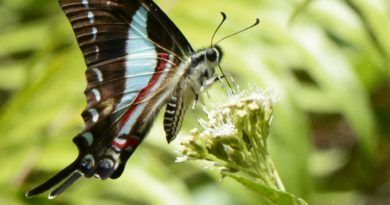 The area has 79 bird species; the Jamaica Kite (Blue Swallowtail) and the Giant Swallowtail butterfly species are known to inhabit the area. The Giant Swallowtail is the second largest butterfly in the world. The Blue & John Crow Mountains National Park: A tropical rain-forest in the north-east of Jamaica, with over 200,000 acres conserved. The park covers the steep mountain slopes (mostly over 3,000 feet) in the interior of the parishes of St. Andrew, Portland, St. Thomas and St. Mary. 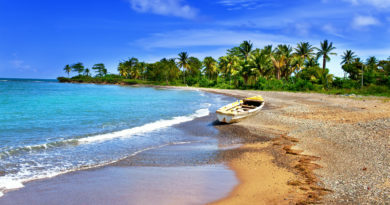 The region has been noted for having more than 800 species of endemic plants, the world’s second largest butterfly, Papilo Homerus, 200 species of resident and migrant birds and is one of the largest migratory bird habitats in the Caribbean. Green Castle Estate: Green Castle has a diversified ecosystem, including fresh water ponds, a mangrove swamp, streams, forests, pastures and coastline. Green Castle is a wonderful place to spot the Jamaican endemics, such as Jamaican Mango, Vireo, Elaenia, Tody, and Woodpecker. 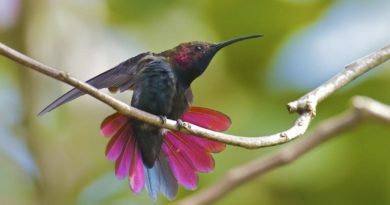 Twenty-one out of the 27 endemic birds of Jamaica have been sighted at Green Castle. In total 124 resident and migrant species have been documented on the property. Over 20 miles of walking trails make birding easy and enjoyable. Phone: 1-876-881-6279. Black River and Parakeet Great Morass: Jamaica’s largest and internationally important wetland, the Black River Great Morass denoted declared A both a Ramsar site and an International Bird Area, 150 species of birds, including winter visitors and vagrants have been observed. Egrets, terns, gulls and other waders are prevalent there. Bluefields: This has been listed by BirdLife International as one of Jamaica’s globally Important Bird Areas (IBA). Of the 28 Jamaican endemic species 20 have been observed in Bluefields, plus a further 13 endemic sub-species. Marshalls Pen: comprises a historical mansion and a 120-hectare property in Manchester. Marshall’s Pen is impressive for birding as more than 100 species have been recorded here, including 25 of the 27 species endemic to Jamaica. The Wetland Areas: Negril Morass, Portland Bight protected area, cays and inlets. 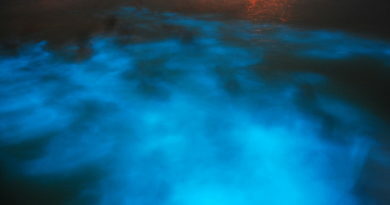 Reliable Adventures Jamaica : Offers eco-tours on Jamaica’s South Coast. The company encourages guests to learn about Jamaica’s endemic flora and fauna. If you want to go birdwatching but you have limited time, one of the best place to see a reasonable variety is the the Blue and Johncrow Mountains. At these locations you will see many island and Caribbean endemics.